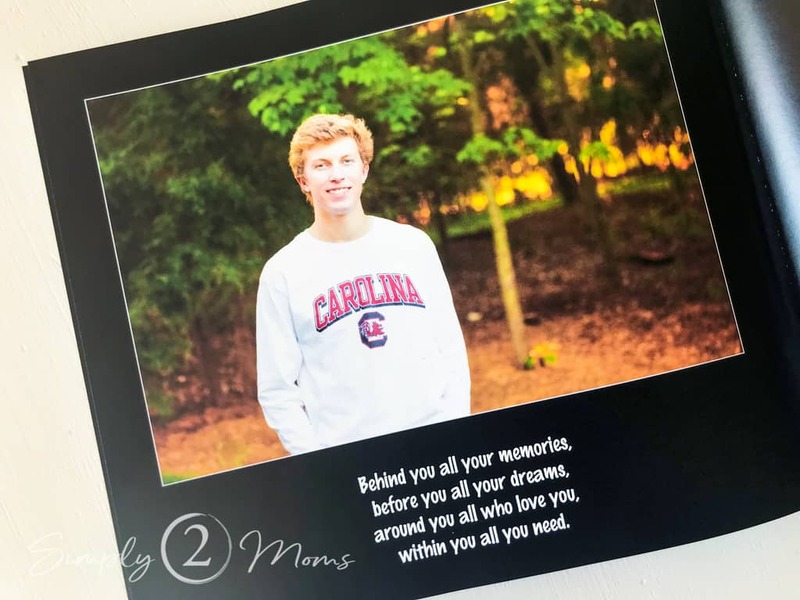 My son graduated high school a couple of years ago…yes I know I’m old! Sometimes I still can’t believe I’m old enough to have a kid in college. But you know as they say…young at heart. Well, that’s what I keep trying to tell myself. Anyway back to the point of this post…I wanted to give him something meaningful for his graduation. I’m a pretty sentimental person and love doing special things for the people I love. 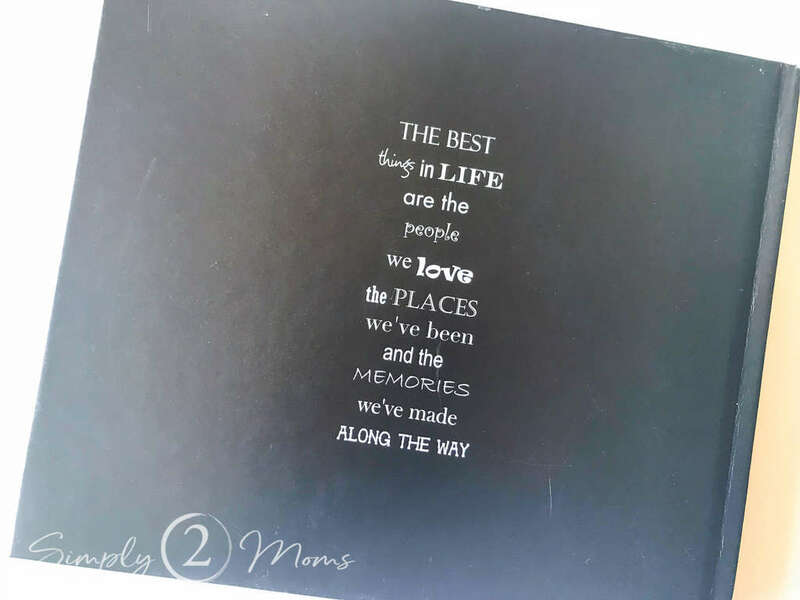 So…as part of his gift I made him two memory books. The first was a graduation book where I collected letters from friends, family, and mentors to include in a book. 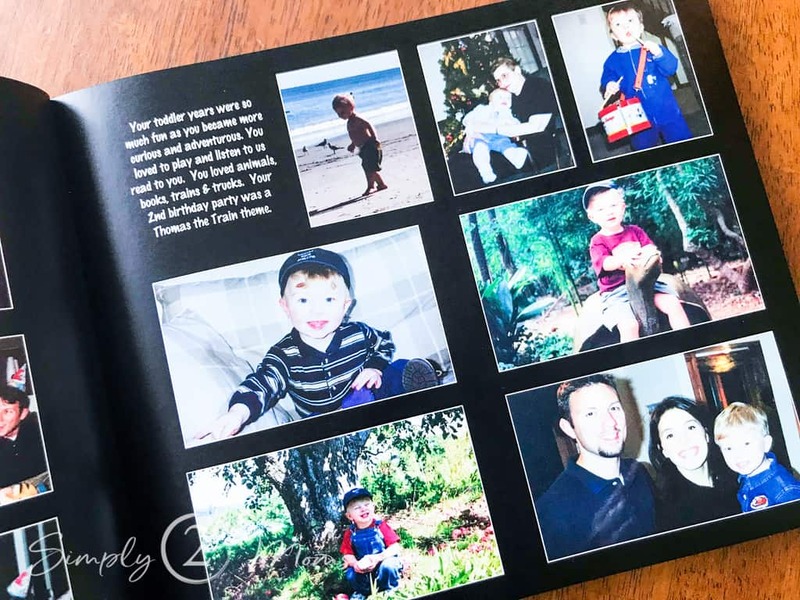 We have actual hard copy pictures in photo albums of his first few years. 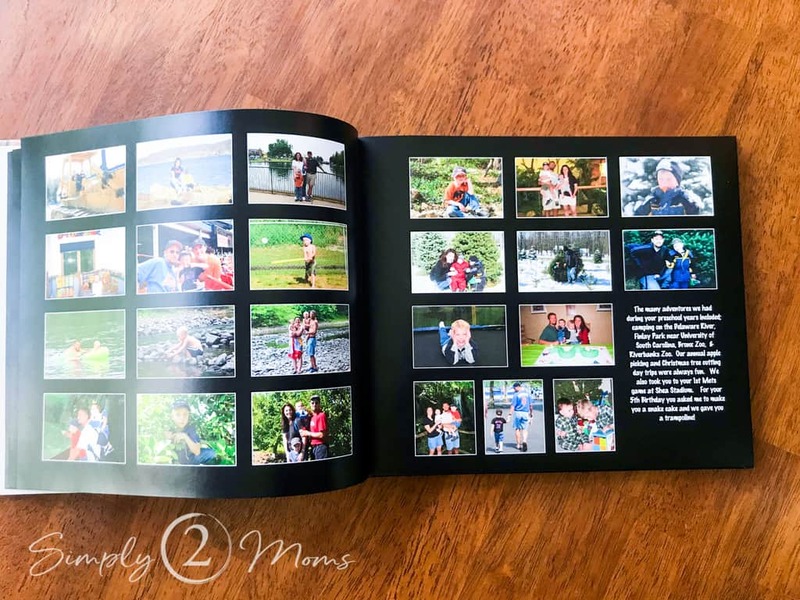 Nothing fancy…just an album with pages to slip in pictures. This is way back when… you know in the late ’90s before iPhones or even digital cameras! I wanted him to have a photo book of the highlights of his life. Just something small that would fit on his bookshelf and he could take with him to college. I started looking through the literally thousands of pictures I have on my computer… I started to feel overwhelmed! It didn’t help that I started this project just 2 months before he would graduate. The pressure was on! 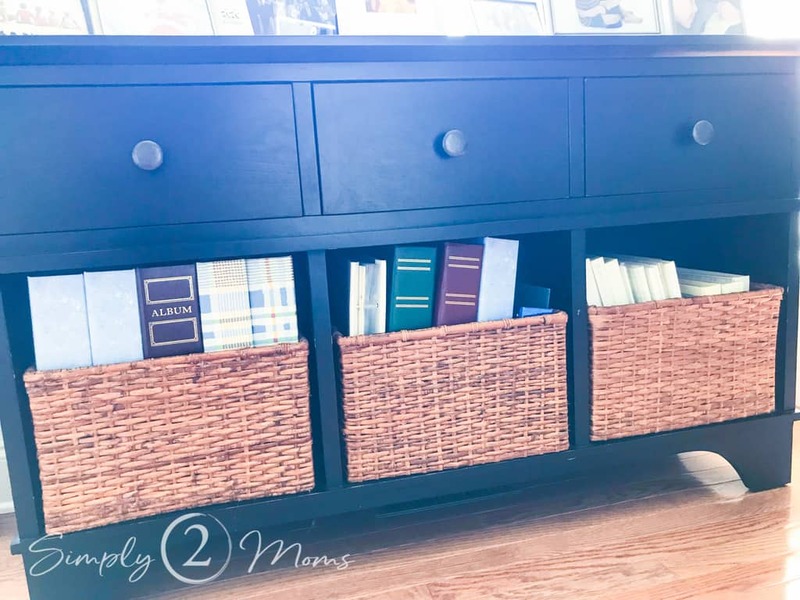 See all those baskets filled with photo albums? How was I going to scan 4 years of printed pictures from those albums? 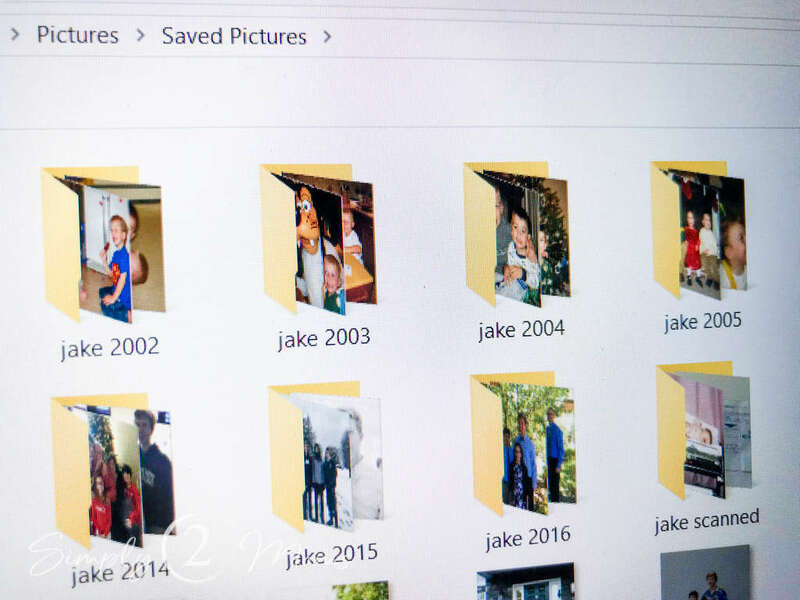 Not only those 4 years of printed pictures…but how was I going to organize all of the 14 remaining years of digital pictures stored on my computer? 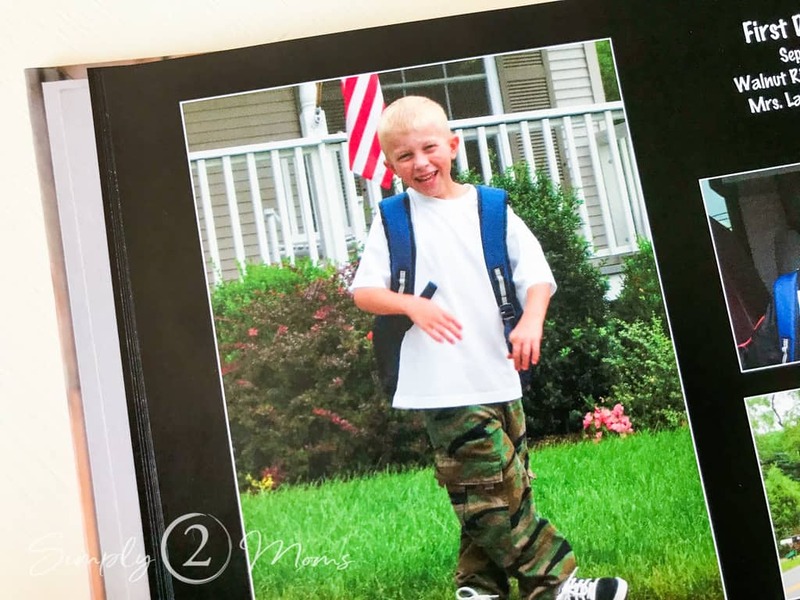 I started searching for an easy answer, but there were so many variations of how to lay out a photobook that I felt unsure of myself. 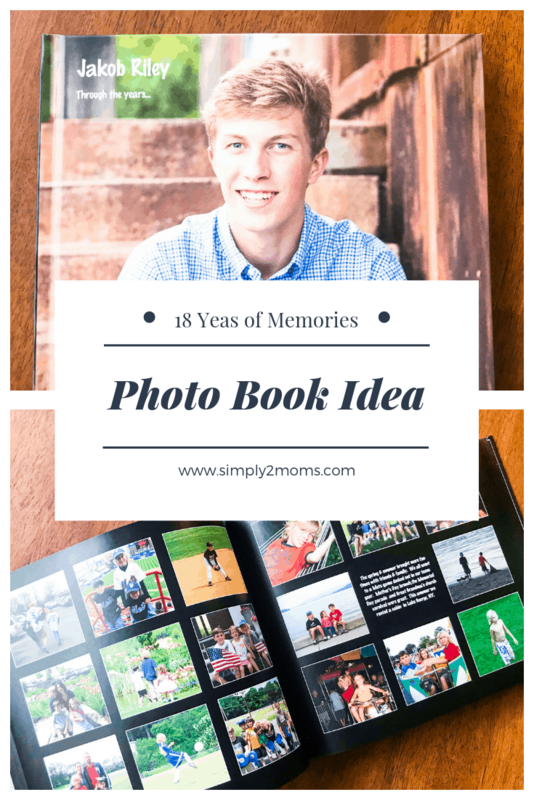 How was I going to condense 18 years worth of memories into one photo book? I was feeling emotional…my baby was graduating! Wasn’t he just starting kindergarten?? 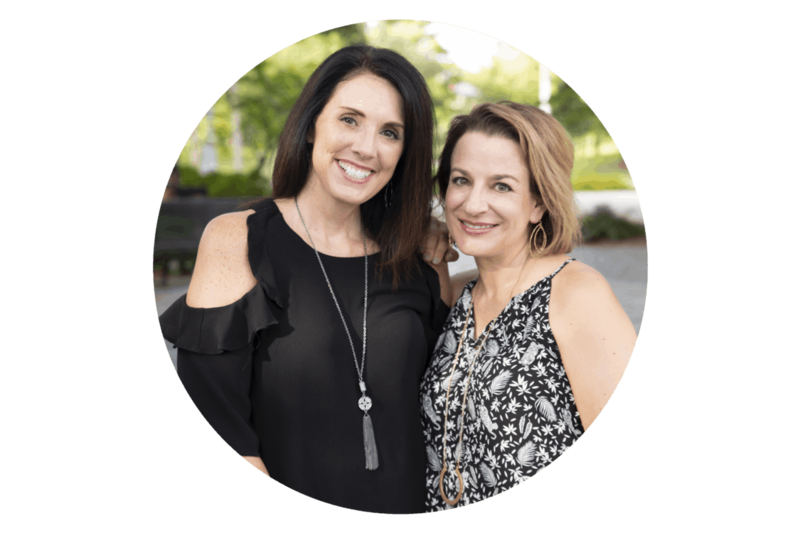 So what’s a girl to do…call your friend…the one who’s a photographer, scrapbooker & memory keeper…I called Anne! The next day I was in her studio and she asked me just the right questions to help me figure out what was important to include and how I wanted it to feel when he looked at it. I left her house with a plan and felt confident I could get this done. I started with “scanning” in all my printed pictures. With the quality of my iPhone being better than the quality of my printer at the time, I just took pictures of the old printed photos then uploaded the images to my computer. 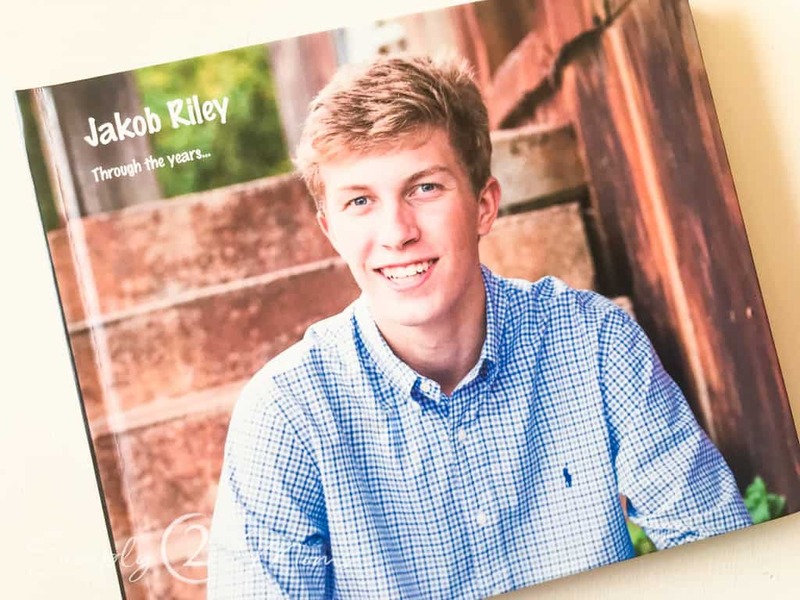 Although I wouldn’t recommend this method if you want to print out a large picture…it worked great for a photo book! I created a separate “Jake” folder on my computer and copied all the pictures that I thought I might want to use into that folder. Then created subfolders for each year, including a subfolder for all those older “scanned” pictures. I decided to layout the book chronologically from birth through current, with a few special pages thrown in for fun. 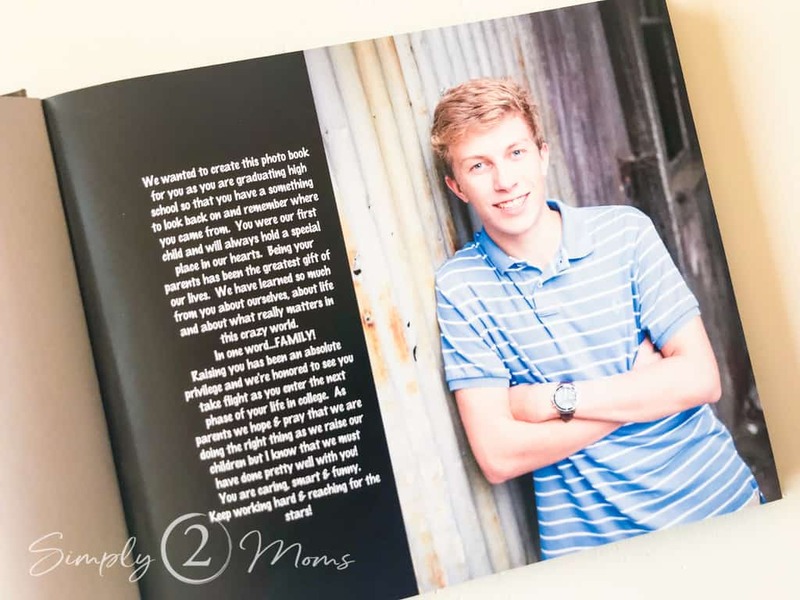 The cover page included a picture from his senior photo session and a note. I also did a page of pictures of the three houses & his bedrooms in each of those houses that he’s lived in. And I “borrowed” some of his friends’ pictures from social media and created a few pages with quotes about friendship. Those pages didn’t necessarily fall within the chronological span of the book. 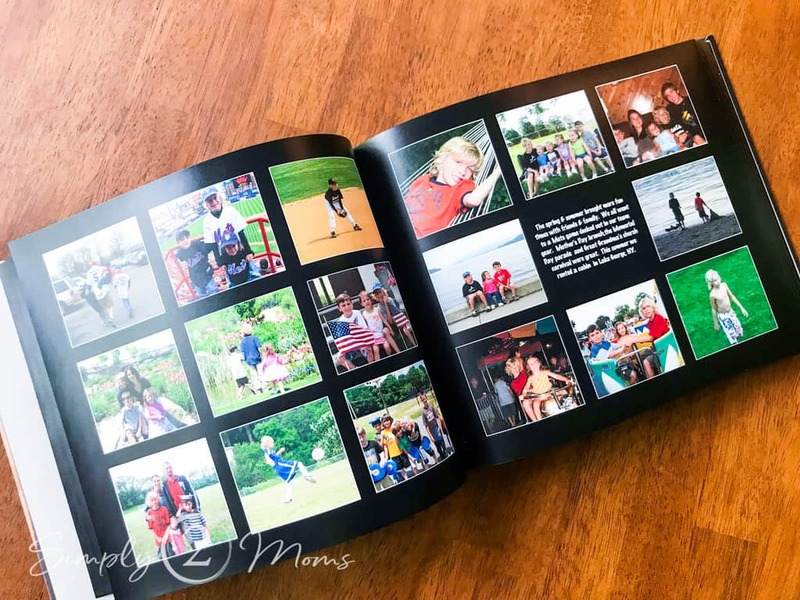 I chose Blurb to create this photo book because it allowed me to create the layout that I wanted for each page. Once a layout page is designed you can save that page to reuse later in your book. It’s seriously so easy to use! Another reason I chose Blurb is that there is no page limit which was very important to me! No need to be limited once I got into my groove. And I’m happy I went with them because the book ended up being 160 pages! 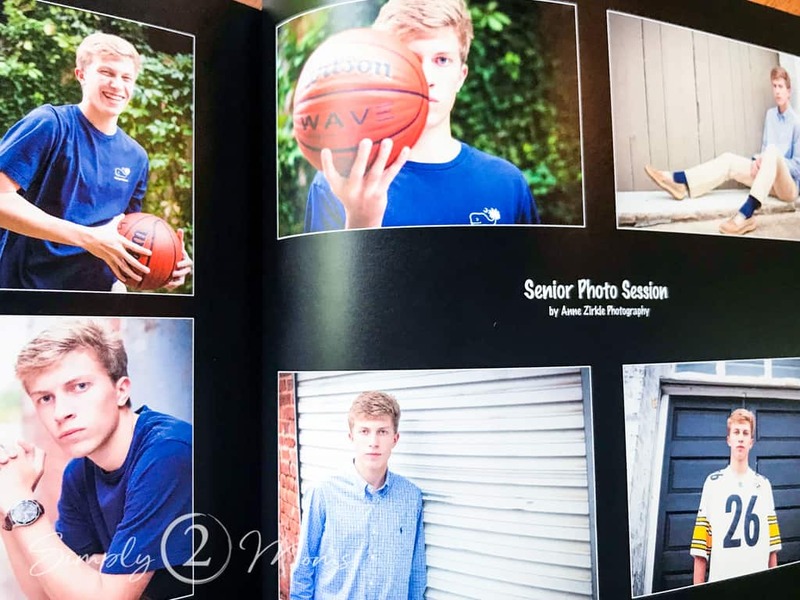 Some pages had a just few pictures….but others had up to 12 on a page. I wrote a little message about the period in his life or shared a memory of the experience we were having in the photos. …or found a quote that matched a feeling I had about him and our family (thank you Pinterest!). This is one of those projects I’ve wanted to do for years but never found the time to do it. Apparently, I work better under pressure. I’m so glad I did this for him…and for me…because of course, I ordered 2 copies of the book! 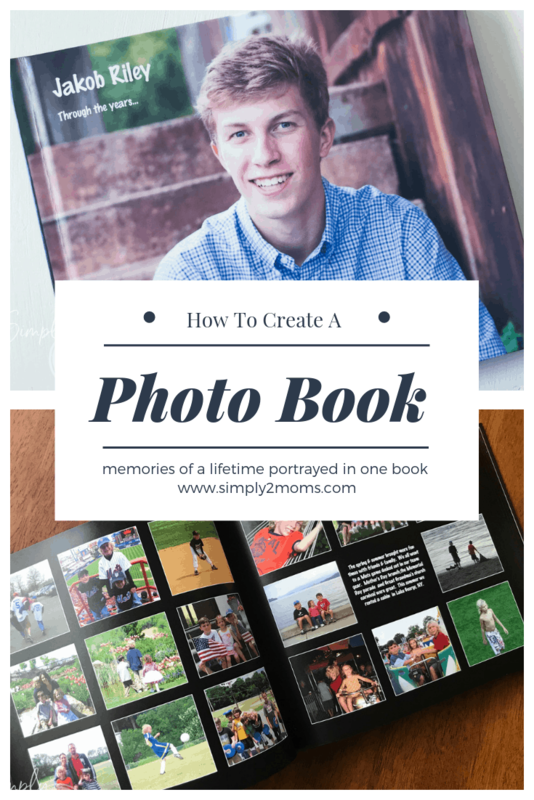 Do you create photo books? Leave us a comment and share any tips you’ve learned along the way.